GREENVILLE, S.C., August 16, 2018 /3BL Media/ -- The Duke Energy Foundation recently awarded nearly $300,000 in grants to 11 South Carolina organizations that impact communities served by Duke Energy through nonprofit capacity-building efforts, expanding access to arts and culture, and other strategic community initiatives. "Nonprofit organizations are often the first line of defense in communities across our state," said Kodwo Ghartey-Tagoe, South Carolina state president for Duke Energy. "These organizations must have well-trained professionals leading those efforts. That is why we support capacity-building initiatives that strengthen the nonprofit community and help nonprofits fulfill their missions." At Francis Marion University in Florence, S.C., the Non-Profit Leadership Institute (NPLI) brings together nonprofit professionals from across the Pee Dee region to develop and enhance their skills over the course of several months. The Duke Energy Foundation is funding scholarships to attend NPLI and to create a workshop on grant writing. "We're appreciative of Duke Energy's continued partnership with Francis Marion University and its support for our Non-Profit Leadership Institute," said Francis Marion University President Fred Carter. "The NPLI is one of our most successful regional outreach initiatives. Better educated nonprofit leaders make the Pee Dee a better place to live and work, and it wouldn't happen without the sponsorship of community partners such as Duke Energy." Together SC supports and strengthens the state's nonprofit community. They are receiving funding that will allow 40 nonprofit leaders from across Duke Energy's service area to attend – many for the first time – the SC Nonprofit Summit, the only statewide gathering of more than 600 community-focused nonprofit leaders. "When for-profit companies and nonprofits work together, our impact is amplified across the state," said Madeleine McGee, president of Together SC. "The significance of investing in the people who make good things happen isn't always appreciated. We wish more corporate funders followed Duke Energy's philosophy." In addition to capacity-building grants, the Duke Energy Foundation also awarded funds to organizations that help enhance community vitality through programs and inititatives that impact communities in a number of ways, including through arts education, youth leadership programs and emergency response training. Chapman Cultural Center: To provide arts education to all Spartanburg County schools, to include 25 Title 1 schools. Chester County Historical Society: To offer hands-on history education to 3rd and 8th grade students and translate that into creative works of art and literature. City of Sumter: To provide access to the arts through 10 productions as part of the Youth Education Scholarship (Y.E.S.) Program at the Sumter Opera House. Greenwood Community Theatre: To support community youth outreach through the arts and fund The Penguin Project for children with special needs. Greenville Symphony: The Duke Energy EdReach Program introduces youngsters to simple music theory and the instruments and musicians that comprise a symphony orchestra. Peace Center for the Performing Arts: To provide access to the arts for nearly 26,000 students through the Peace Passport Field Trip Series. 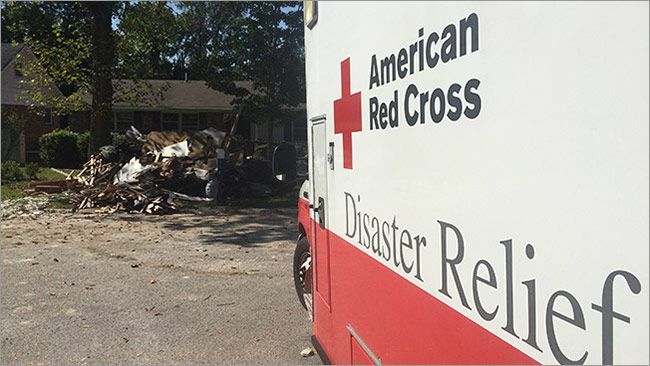 American Red Cross: To recruit and train volunteers across the state for many roles in disaster response efforts. Urban League of the Upstate: To support leadership development after-school programs for high school students in Greenville and Spartanburgcounties.